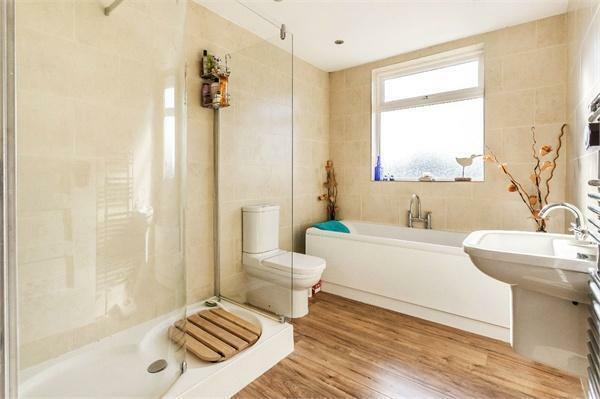 CONVENIENTLY located close to local amenities, the newly refurbished Excel and Sports HUB with all it has to offer and the picturesque River Thames is this THREE bedroom FAMILY home. The property offers LIGHT and BRIGHT accommodation and has been well maintained by the current owners. On entering the property, the hallway gives access to the SPACIOUS front reception room, the second LIGHT and AIRY reception room at the rear of the property benefitting from patio doors overlooking the garden. Both rooms enjoy Art Deco style feature fireplaces. The fully fitted kitchen provides ample eye and base level units, integrated appliances and side door access. The ground floor also benefits from under stair storage and WC. Moving to the first floor, the landing gives access to two DOUBLE bedrooms both with feature fireplaces, a good size single and the family bathroom. The generous size bathroom is fully tiled comprising of a three piece white suite and a separate shower cubicle. 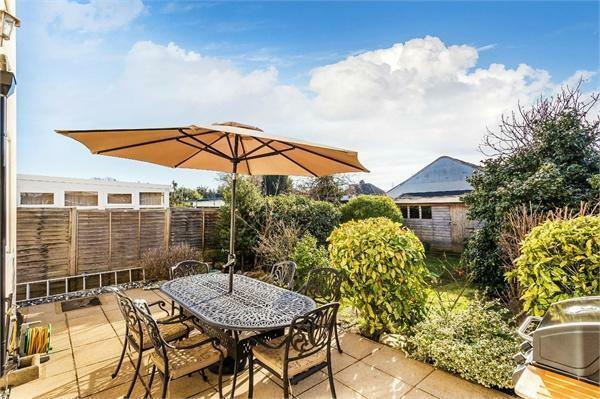 Externally, the rear south westerly garden is mainly laid to lawn with mature trees and evergreen shrubs providing an abundance of colour during the warmer months and provides a haven for bird life which you can enjoy sitting out on the patio. To front is a paved driveway providing ample parking with side gated access. This property is a MUST view and can be arranged by contacting the Vendor's sole agent today. 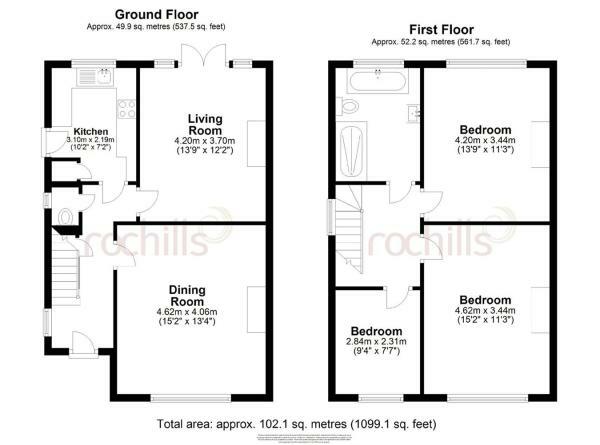 Disclaimer - Property reference 4726370. The information displayed about this property comprises a property advertisement. Rightmove.co.uk makes no warranty as to the accuracy or completeness of the advertisement or any linked or associated information, and Rightmove has no control over the content. This property advertisement does not constitute property particulars. The information is provided and maintained by Rochills Ltd, Walton-On-Thames. Please contact the selling agent or developer directly to obtain any information which may be available under the terms of The Energy Performance of Buildings (Certificates and Inspections) (England and Wales) Regulations 2007 or the Home Report if in relation to a residential property in Scotland.